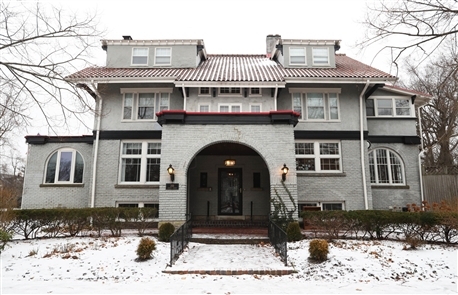 Members of the Junior League of Buffalo and community volunteers will serve as docents offering tours of the Palmer Centennial House, 288 Lincoln Parkway, for the 20th Decorators' Show House. The Buffalo News also is a sponsor of the event. The privately guided tours will be held 10 a.m. to 7 p.m. Mondays and 10 a.m. to 4 p.m. Tuesdays from April 29 to May 14, when the Show House is closed to the general public. The Show House Boutique will be open for shopping and the purchase of light refreshments, according to organizers. The private tours must be reserved in advance for $30 per person and a $1 handling fee per group order. To reserve a tour, download a reservation form at www.jlbuffalo.org, or contact the Junior League of Buffalo at 884-8865.